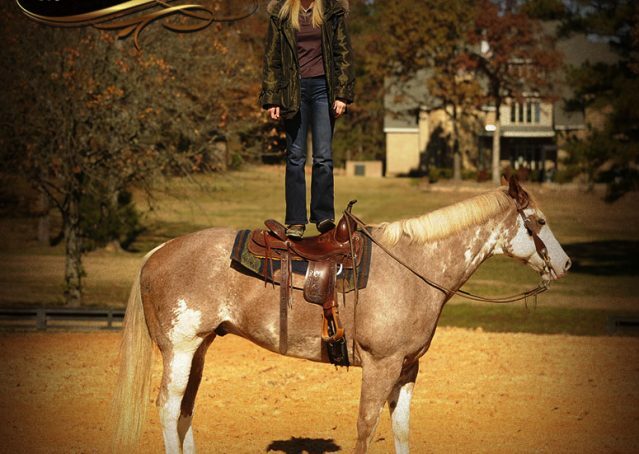 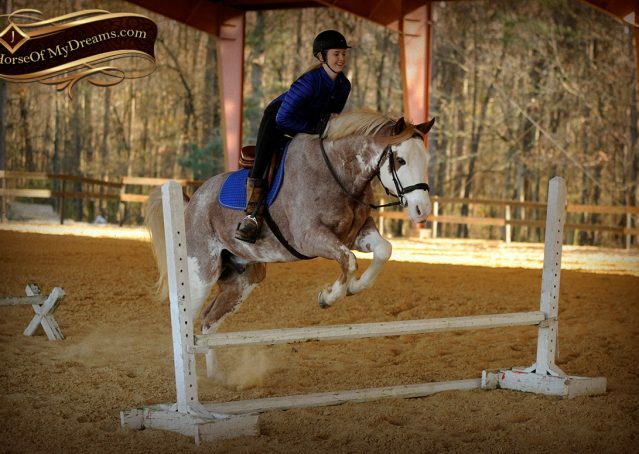 Aspen has one of the best dispositions of any horse we’ve ever owned! 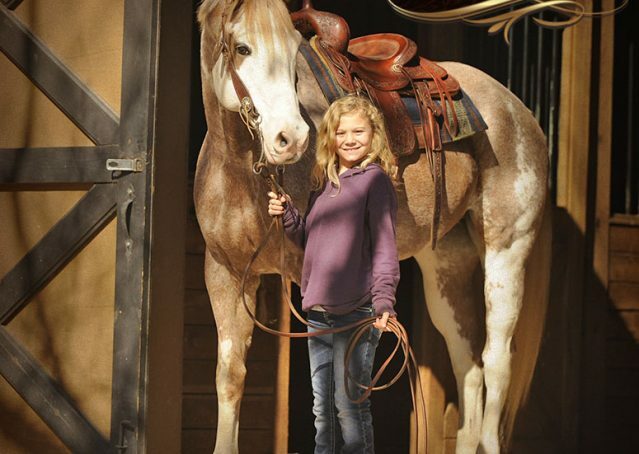 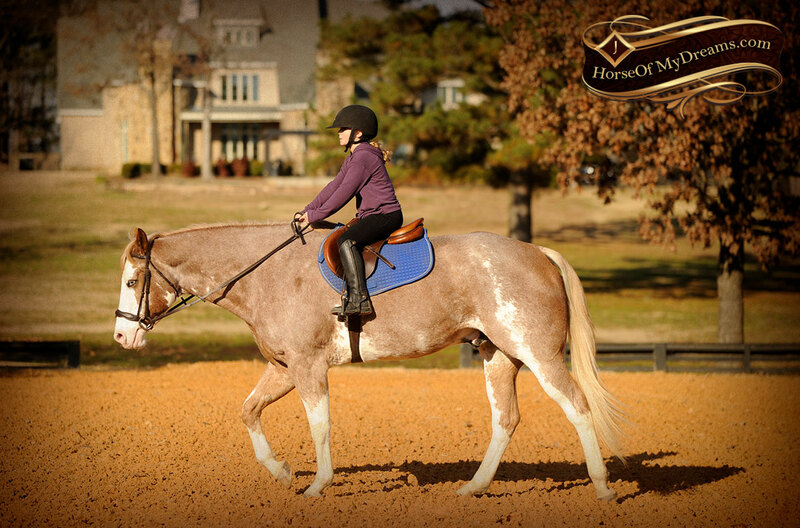 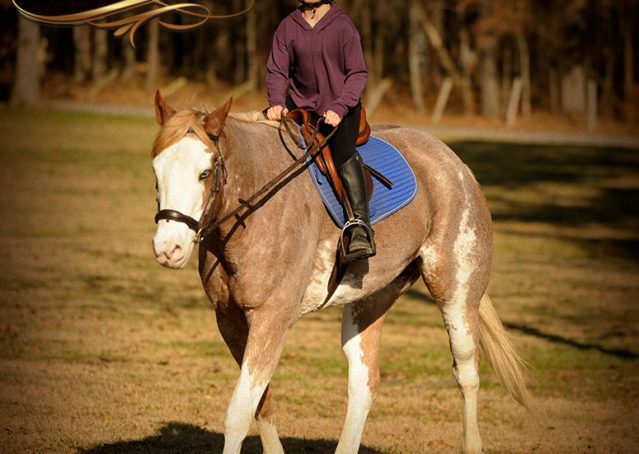 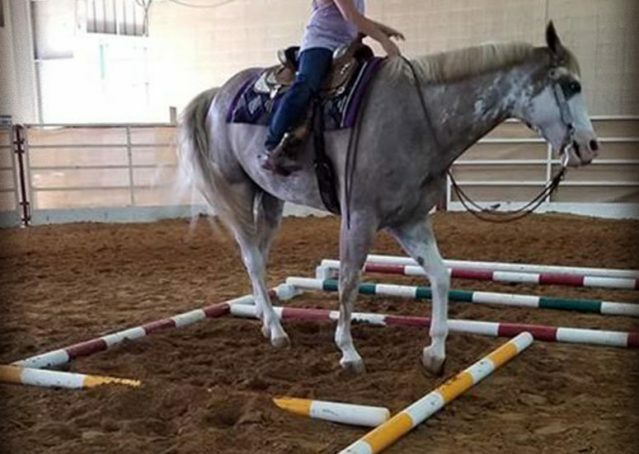 Kids, beginners… anybody can ride him. 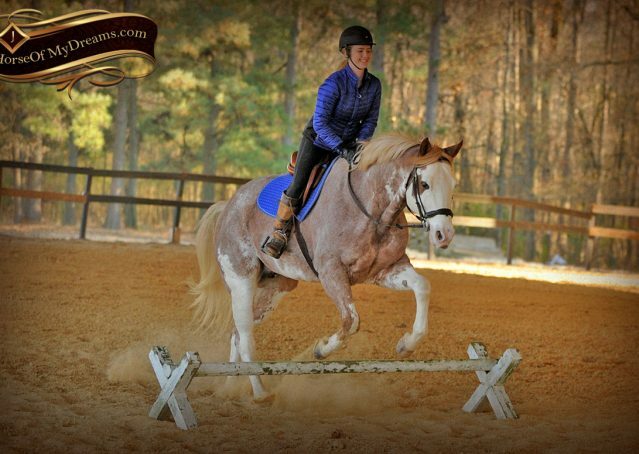 More experienced riders will love him too! 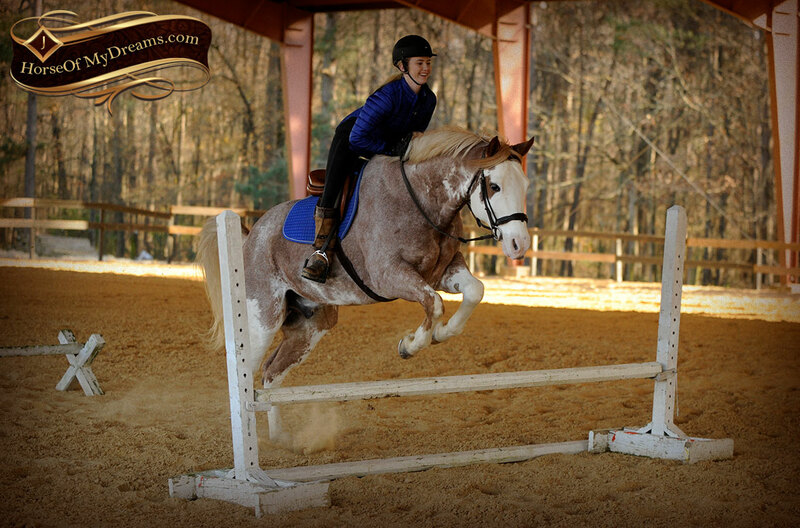 At over 16.2 he has the size to handle just about any size rider. 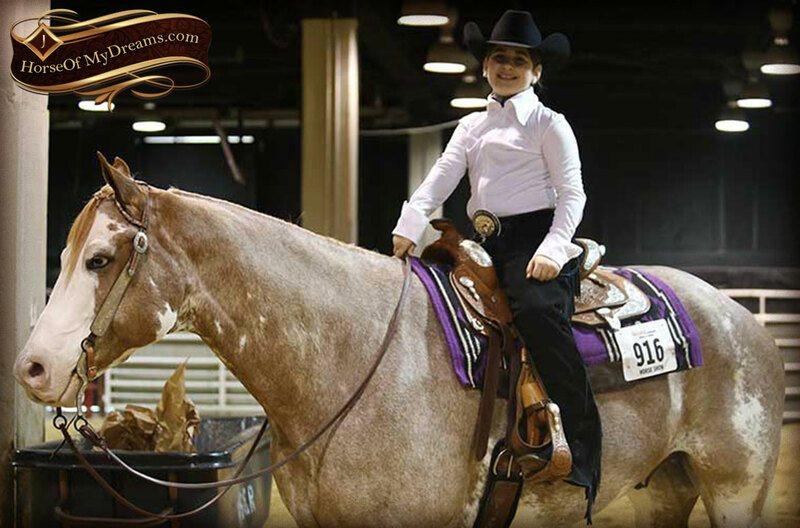 He has extensive show experience. 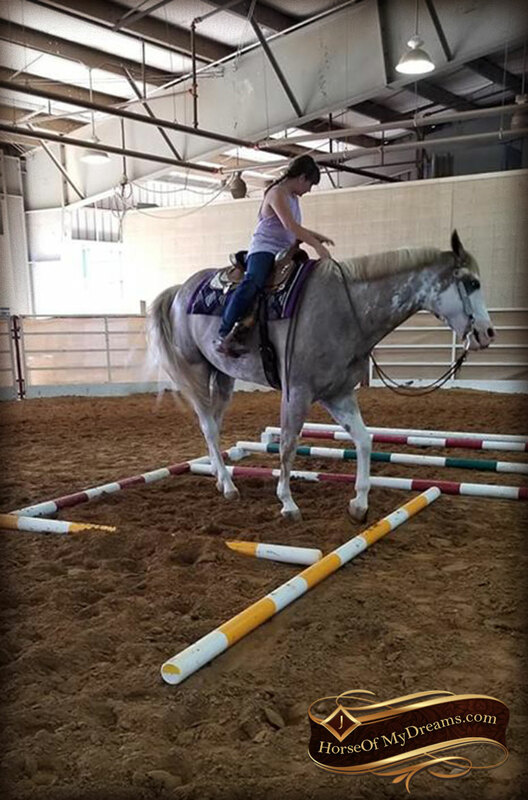 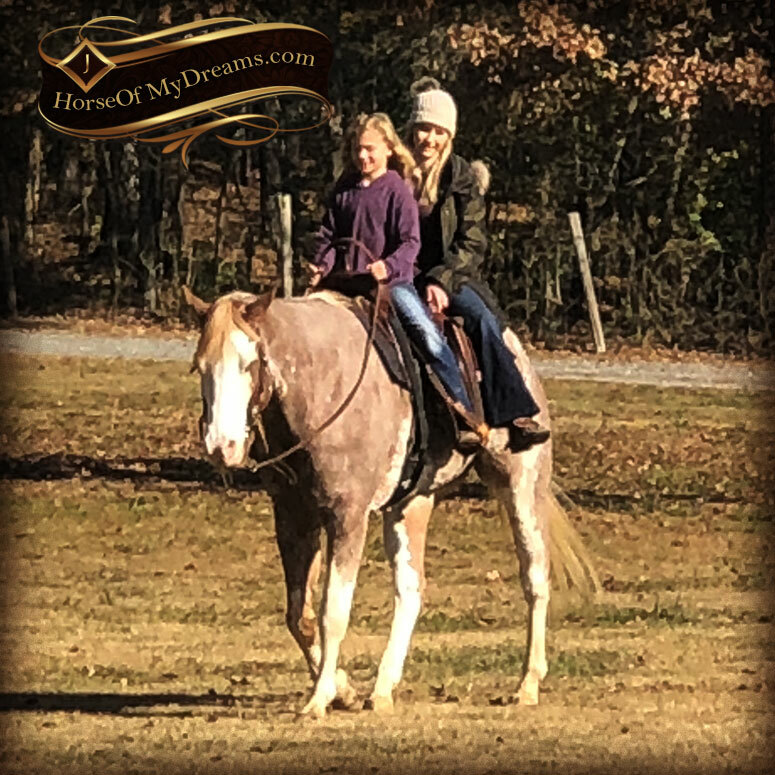 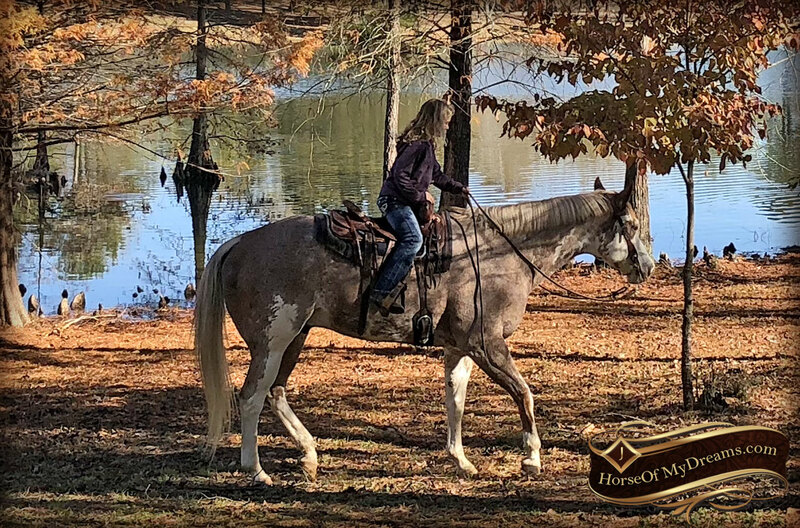 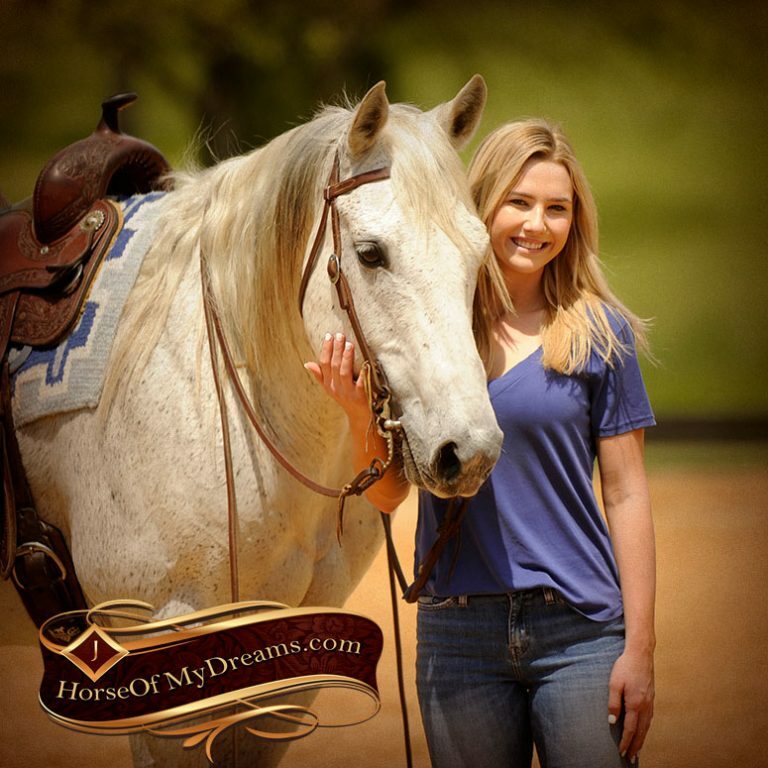 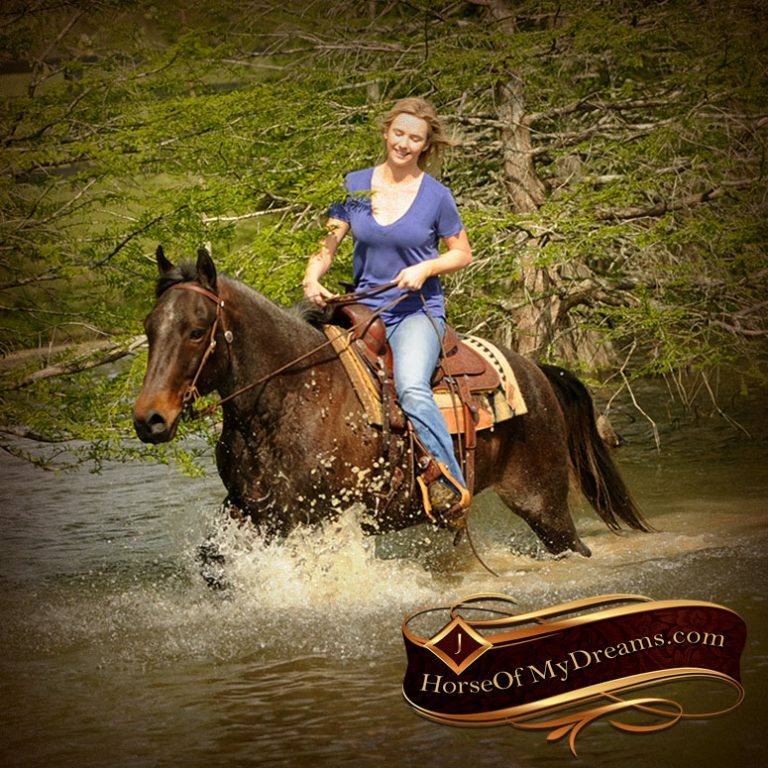 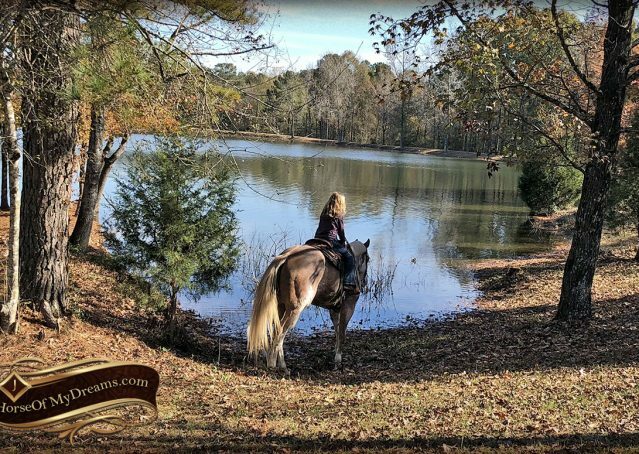 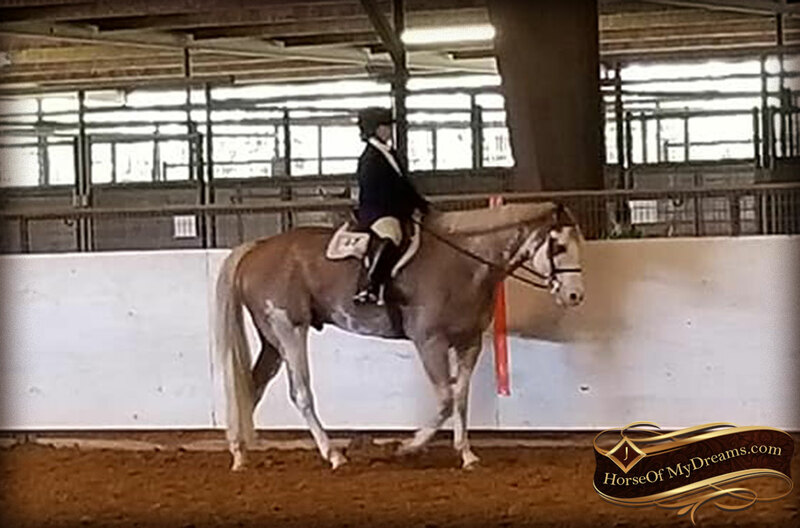 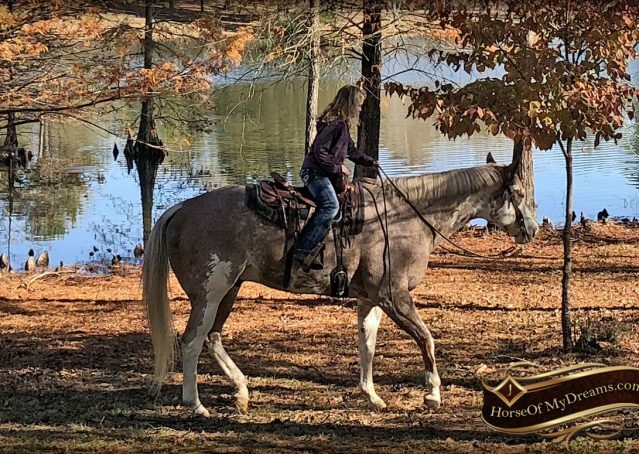 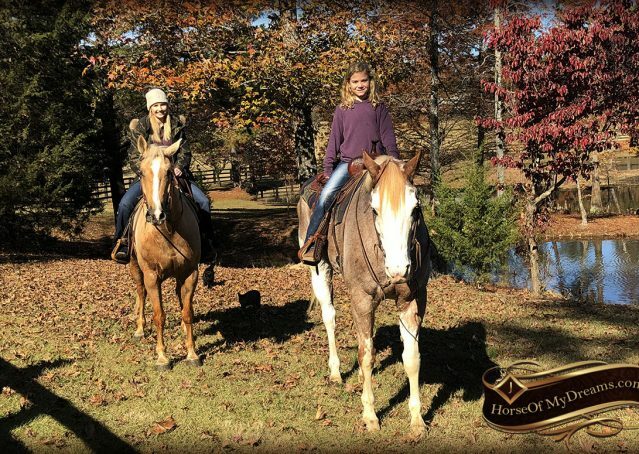 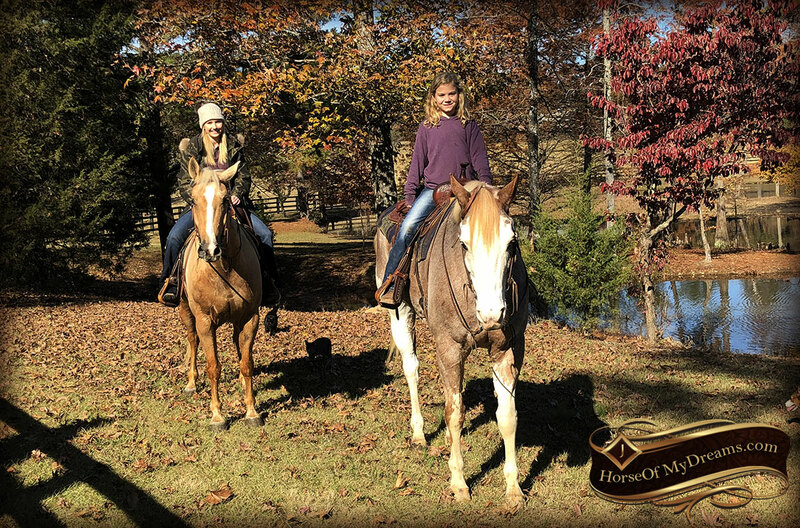 He’s been shown both english and western in several different disciplines, including: western pleasure, horsemanship, hunter, equitation, halter, and trail. 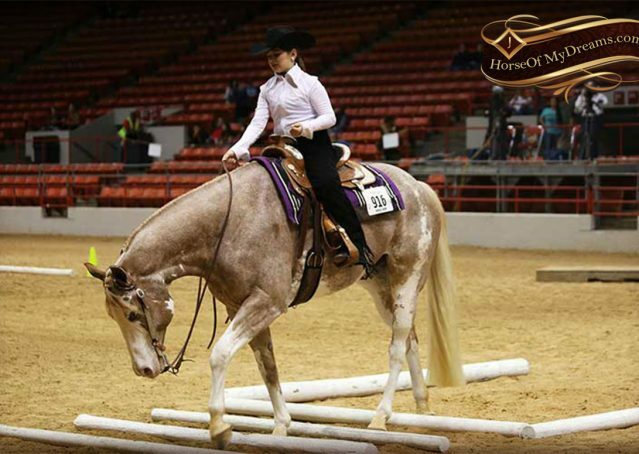 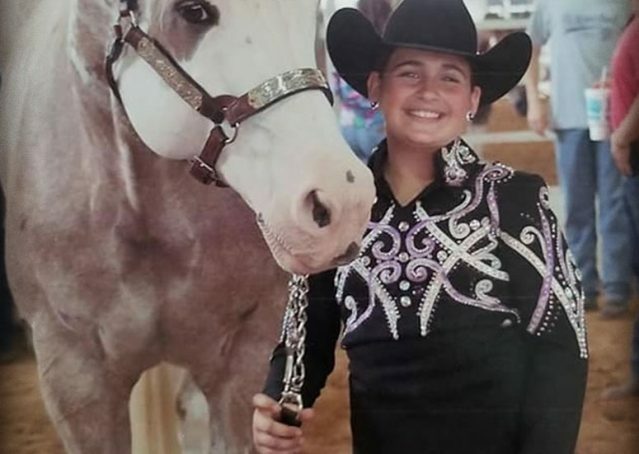 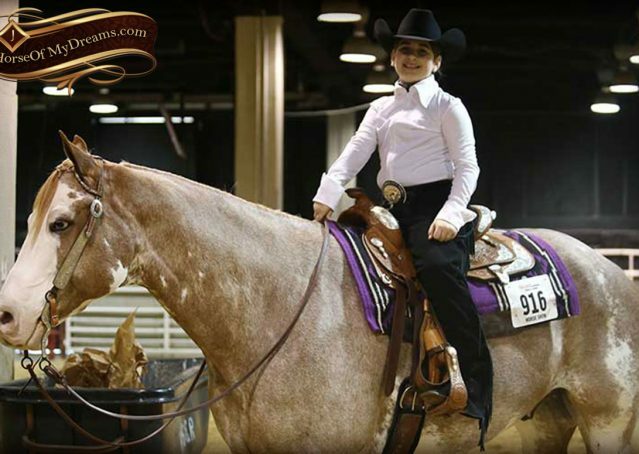 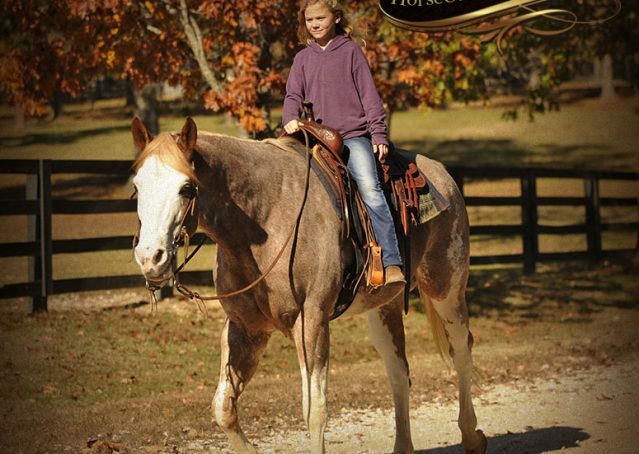 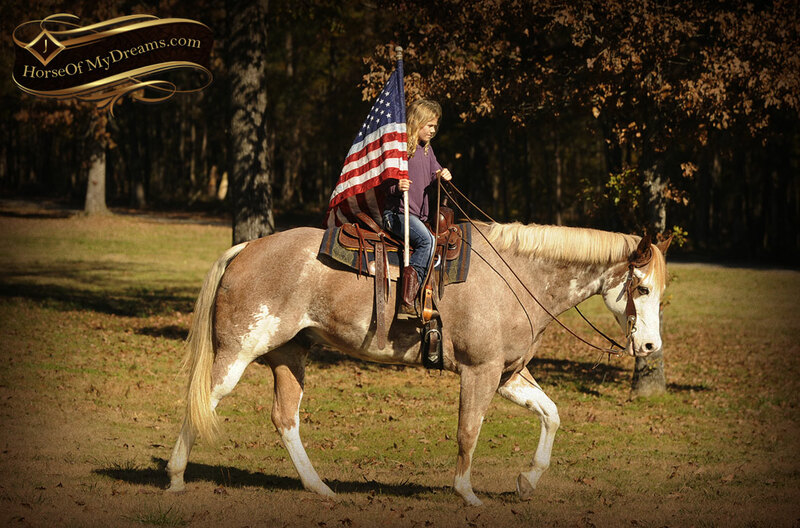 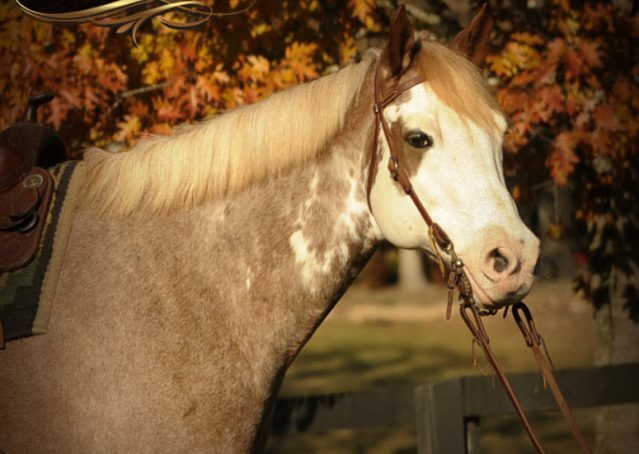 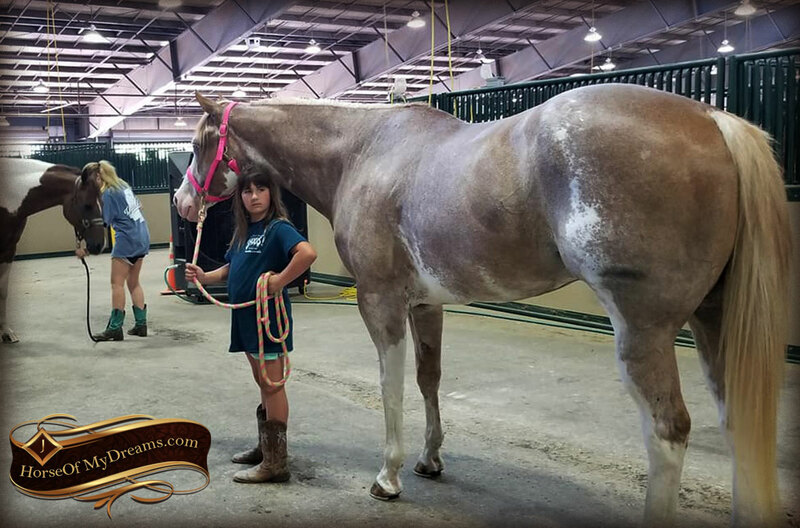 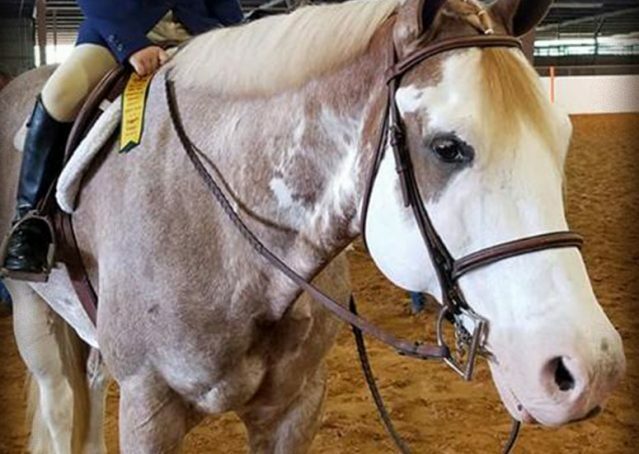 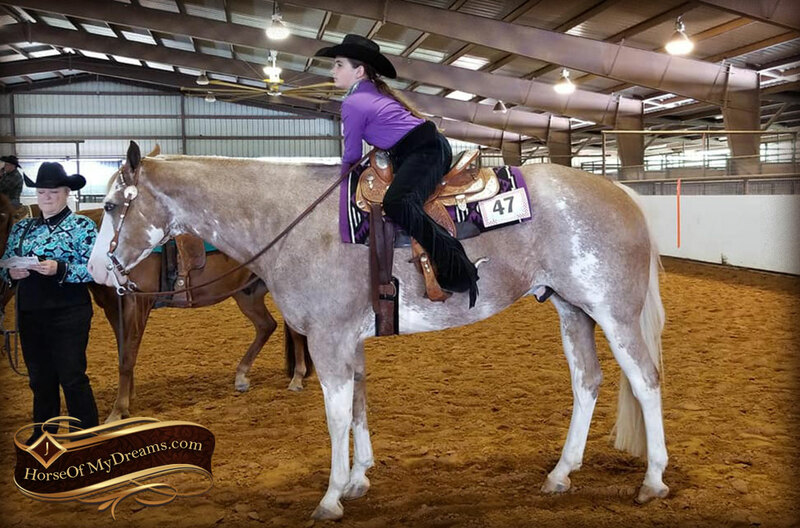 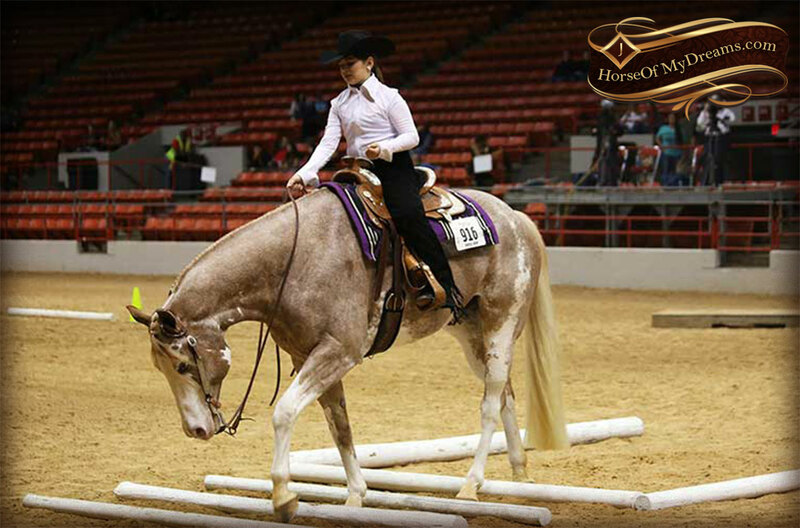 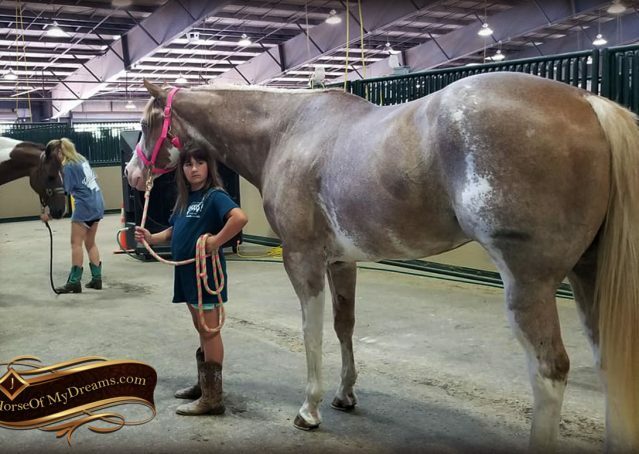 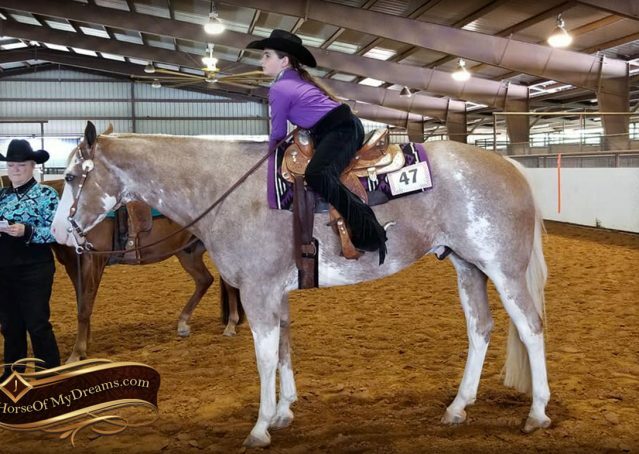 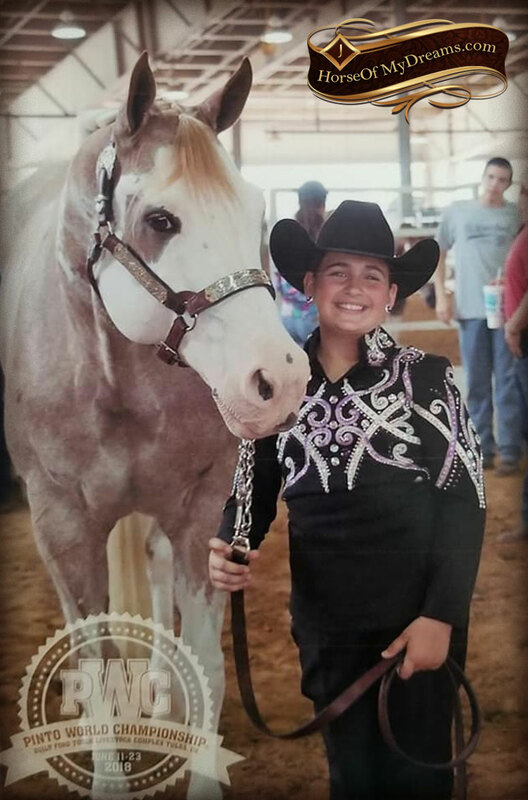 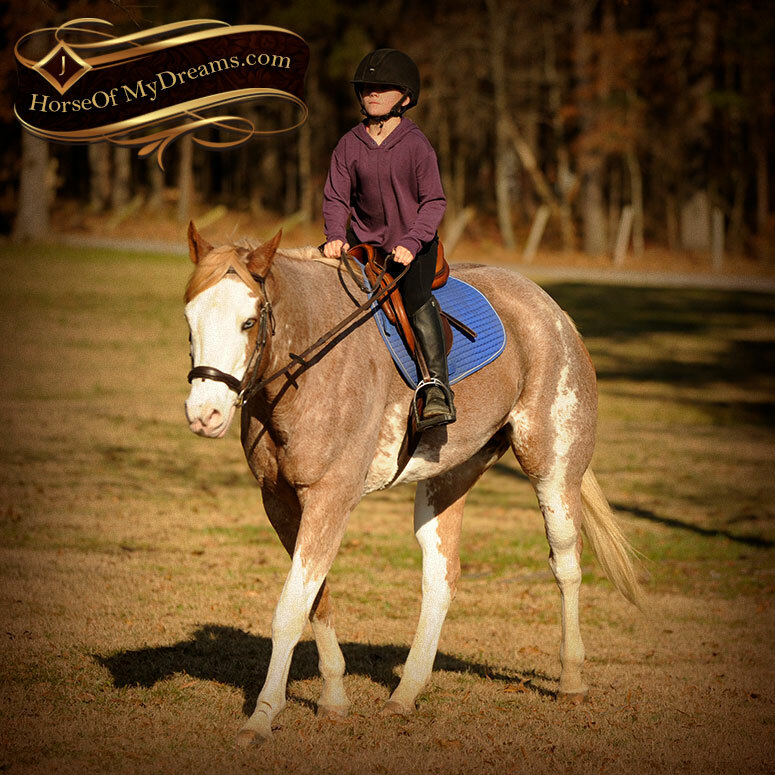 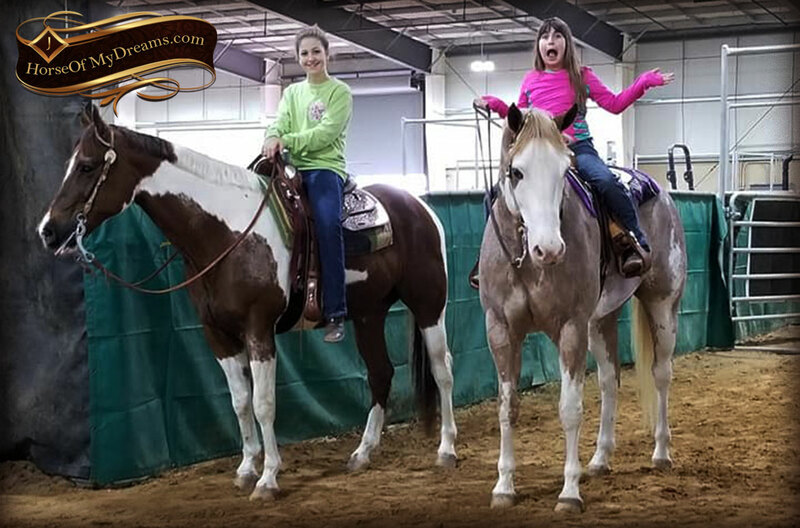 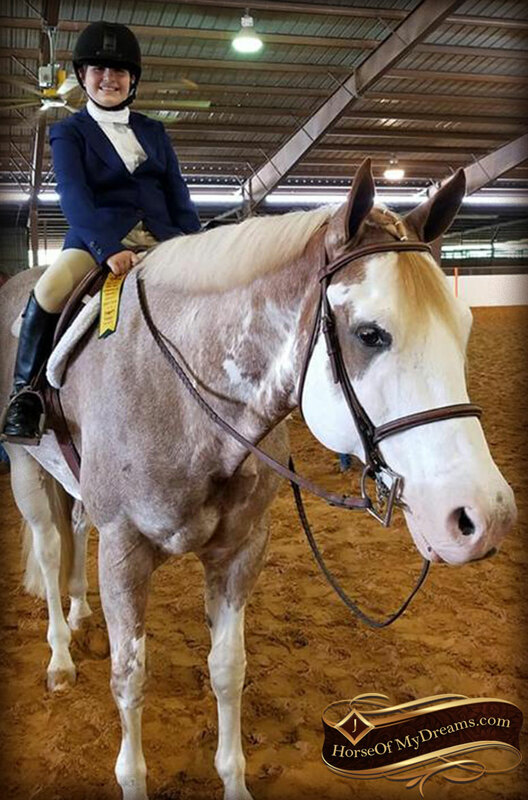 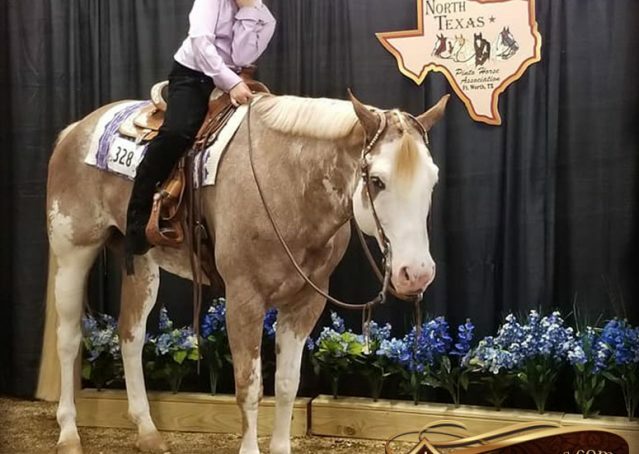 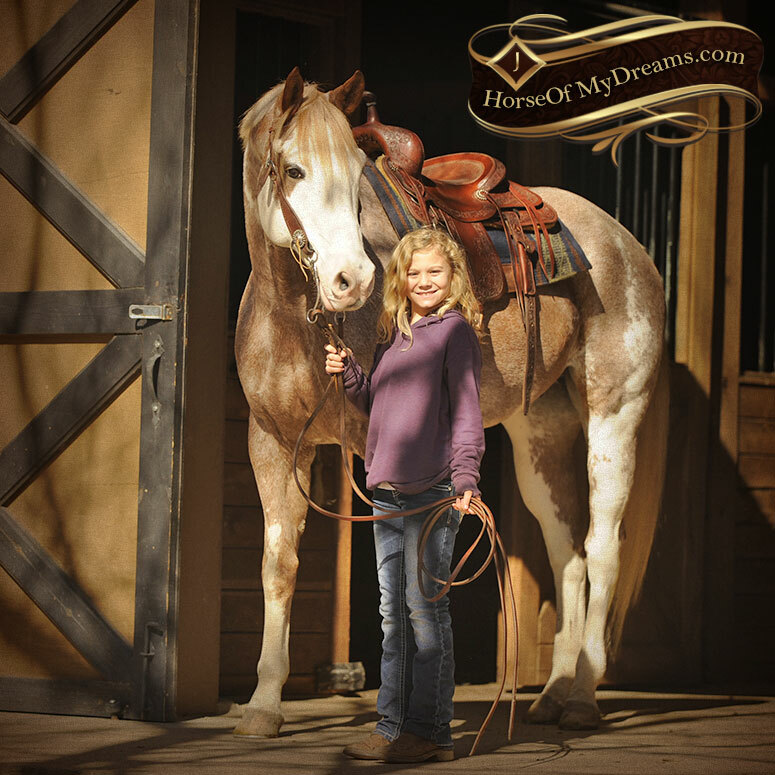 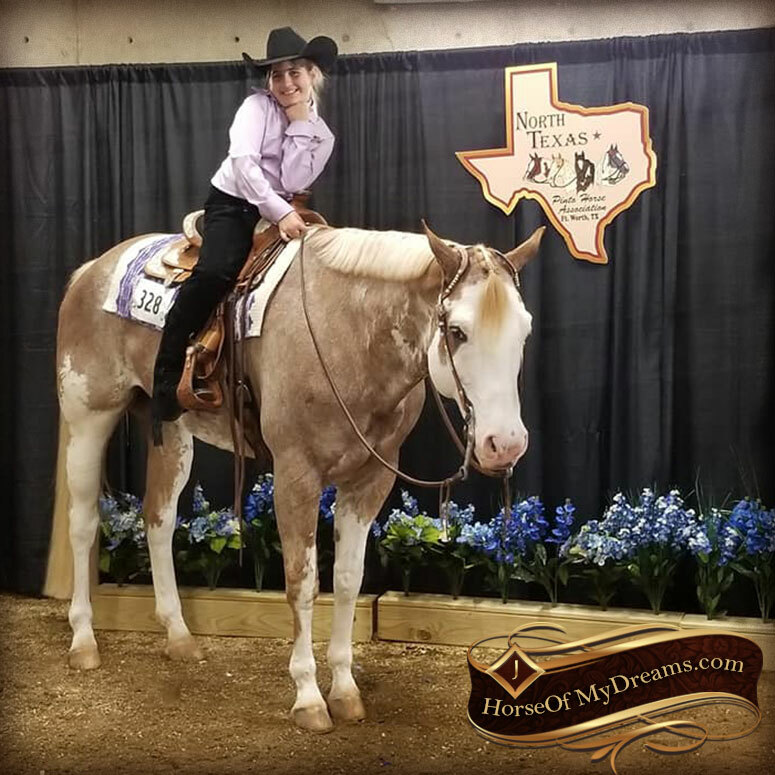 Aspen is double registered in APHA and the Pinto Horse Association with a great pedigree of proven winners. 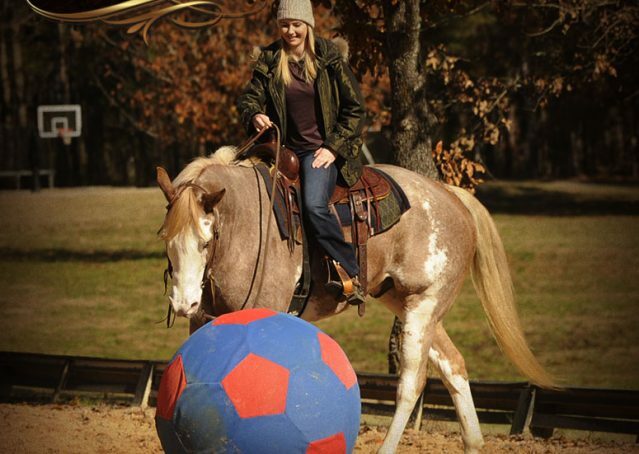 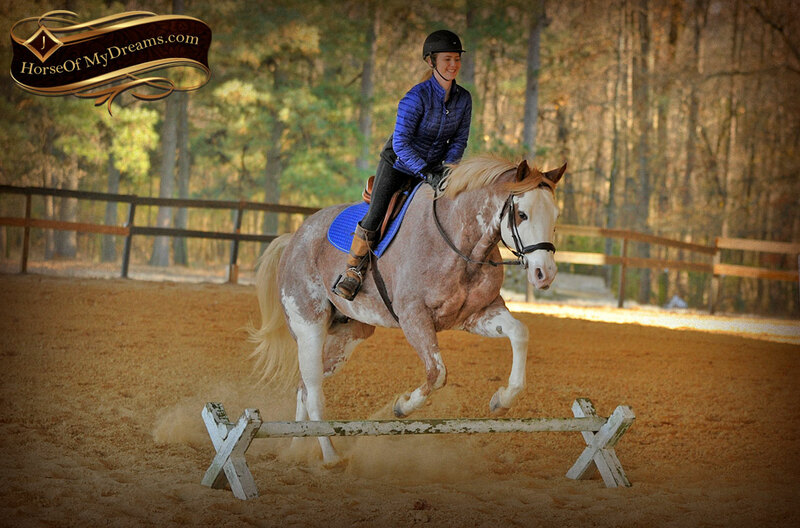 He’s not only a pro in the arena, but he rides great outside too. 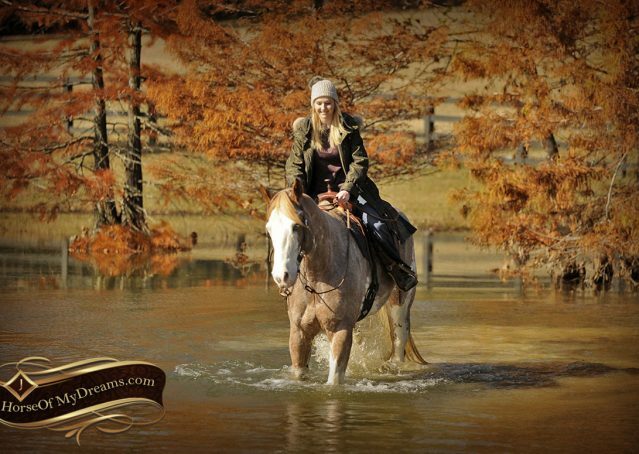 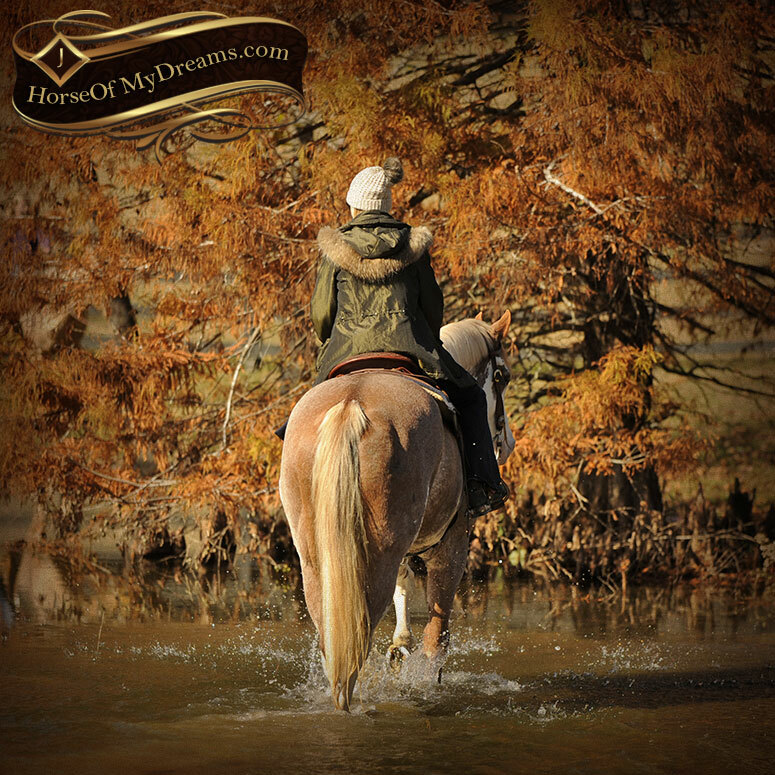 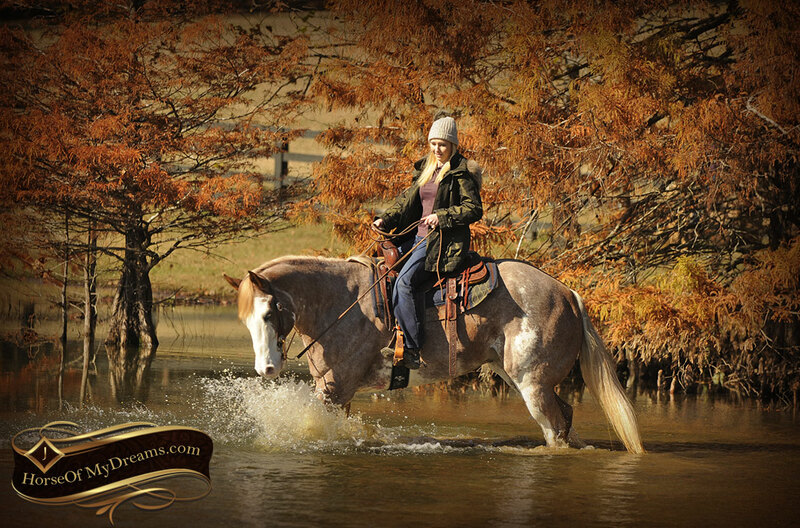 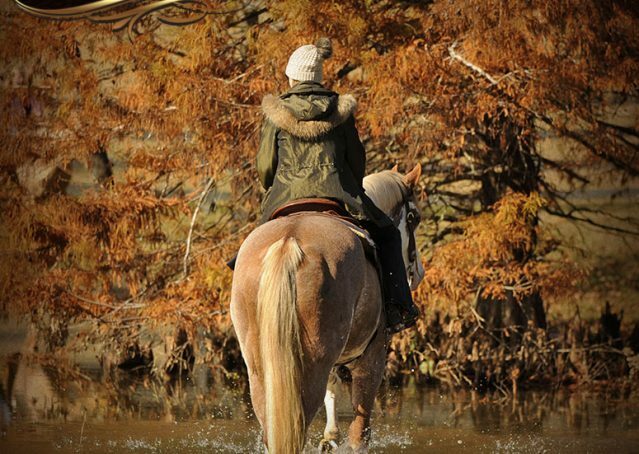 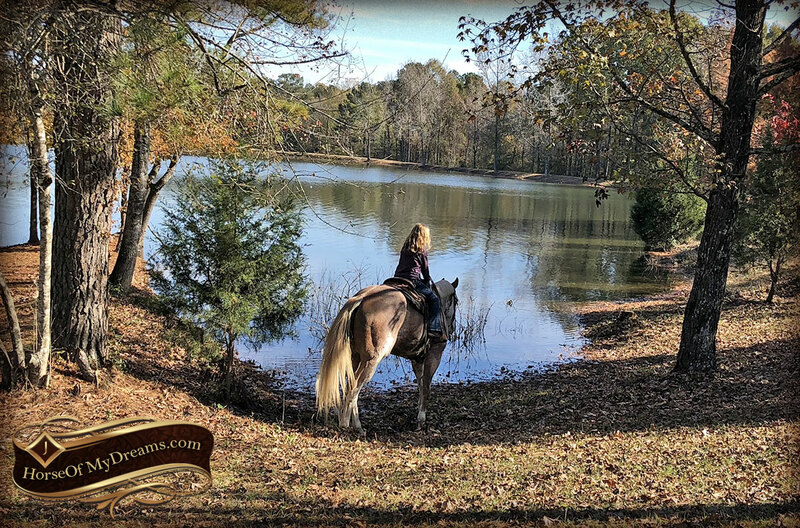 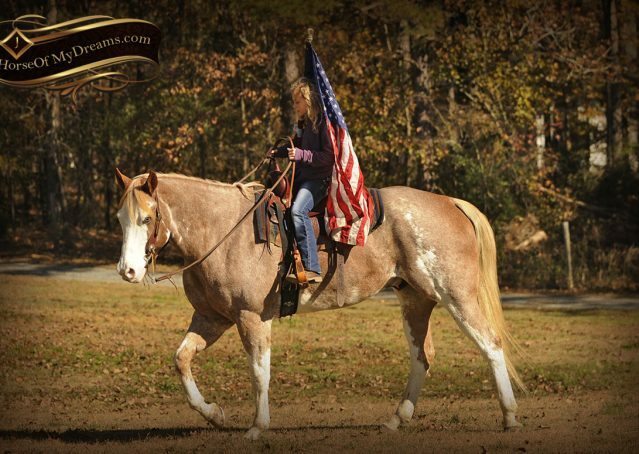 Whether it’s going through the water, down the trails, over the tarp, or carrying the flag, nothing has seemed to phase this remarkable horse! 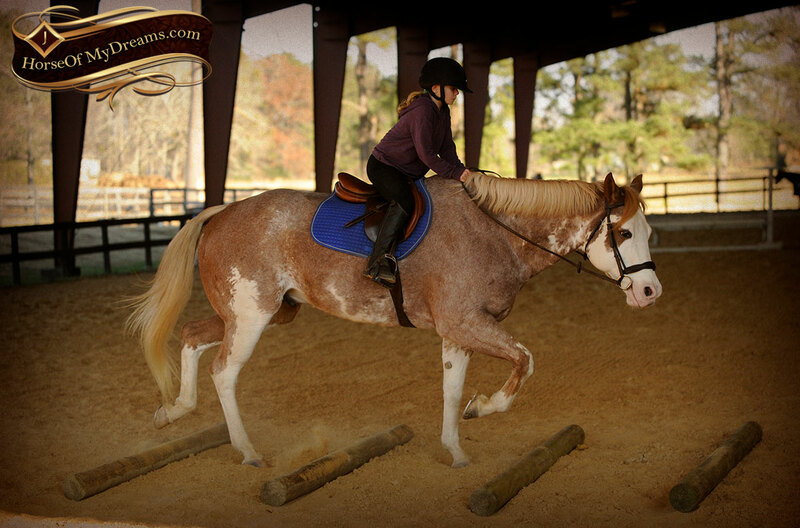 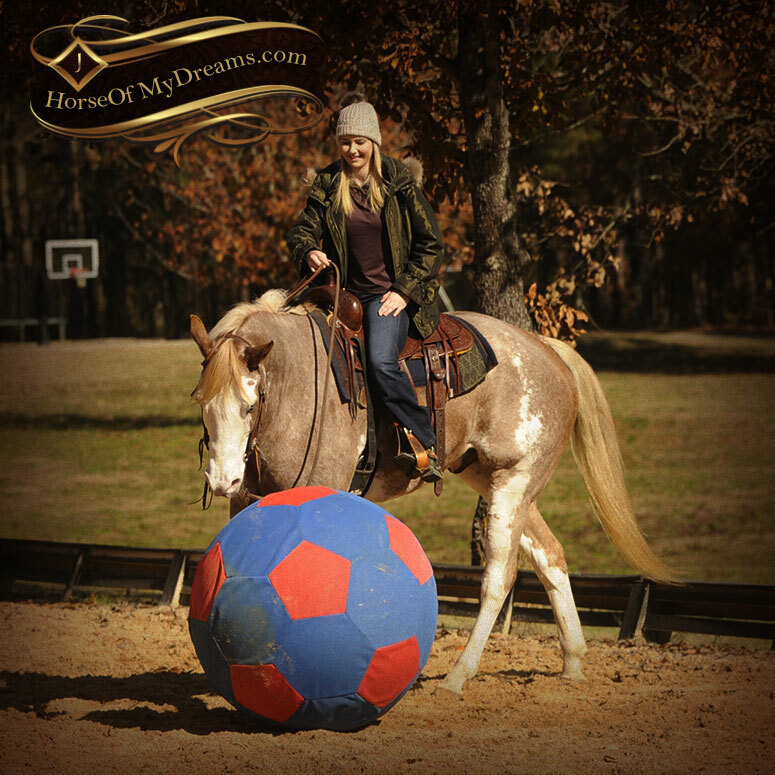 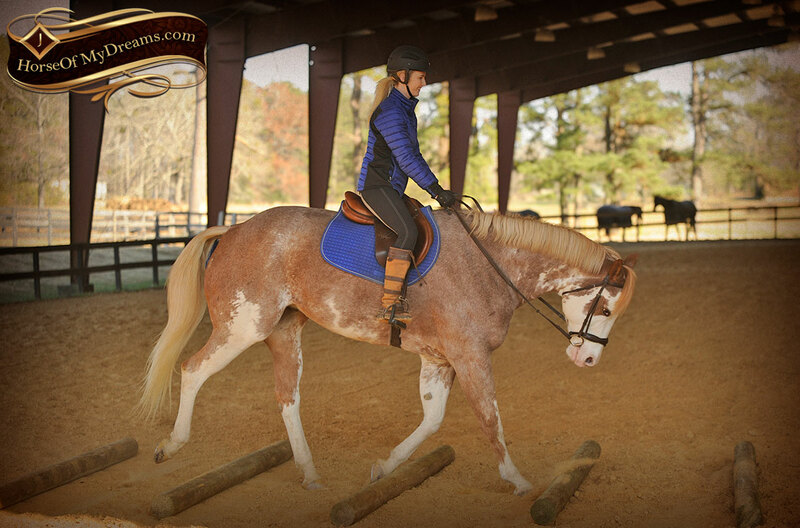 Aspen has incredible gaits, from those slow pleasure gaits to that nice flat hunter movement, he has it all. 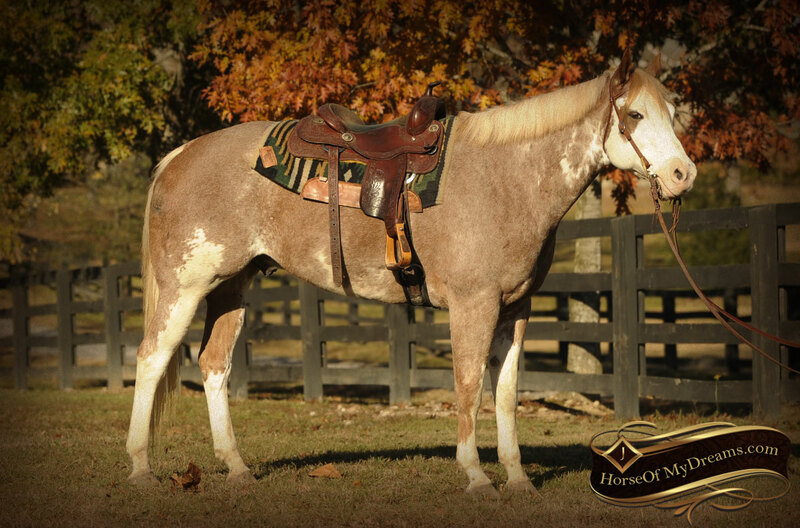 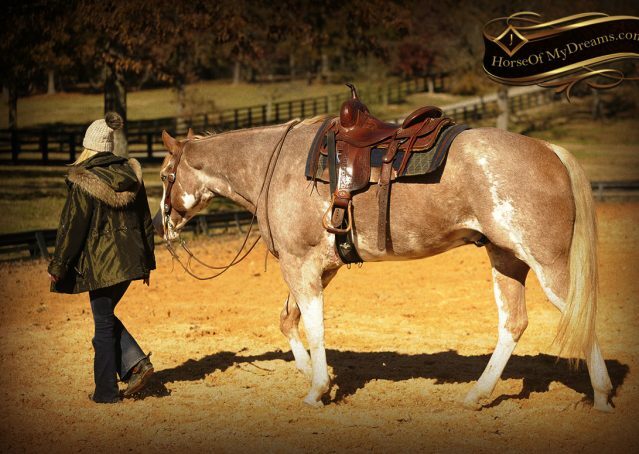 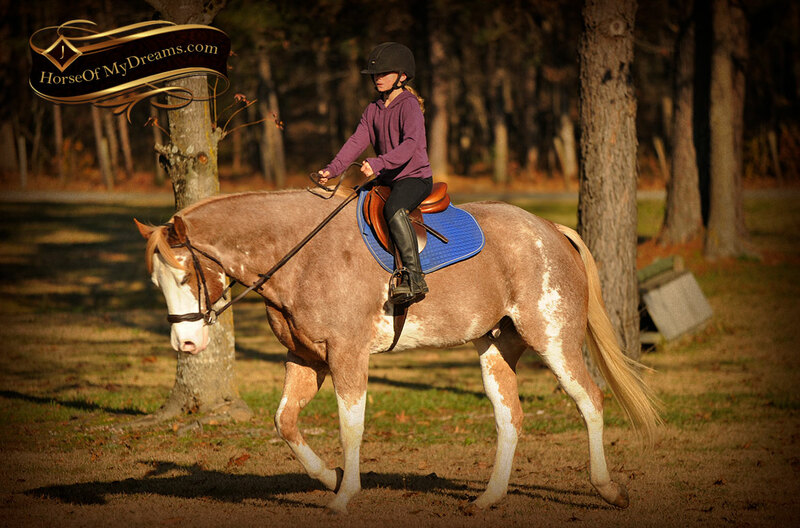 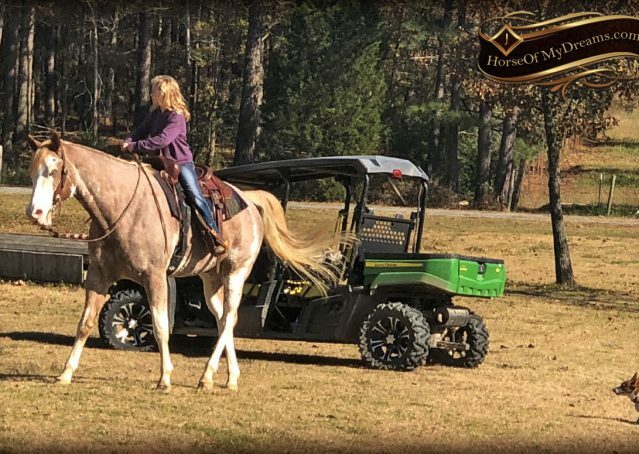 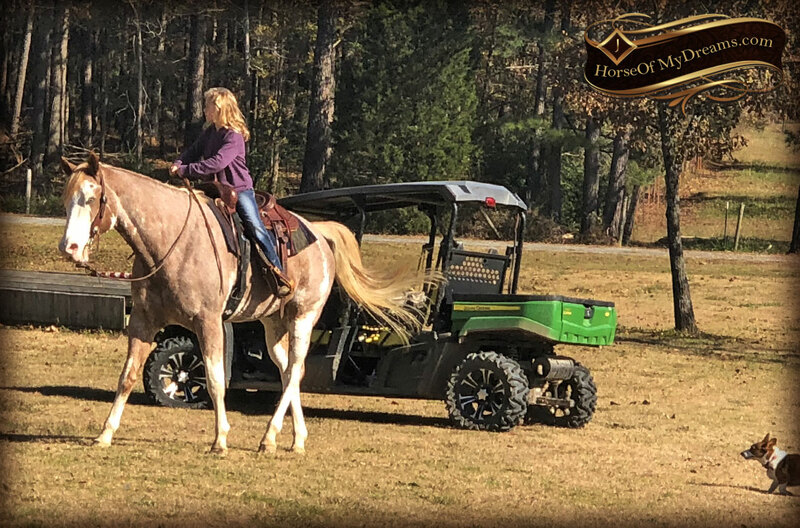 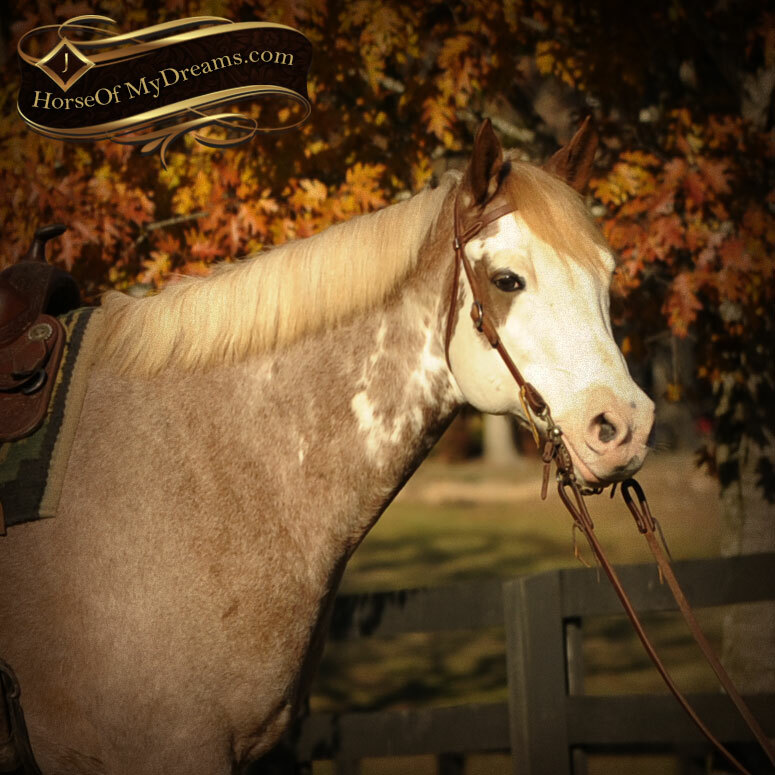 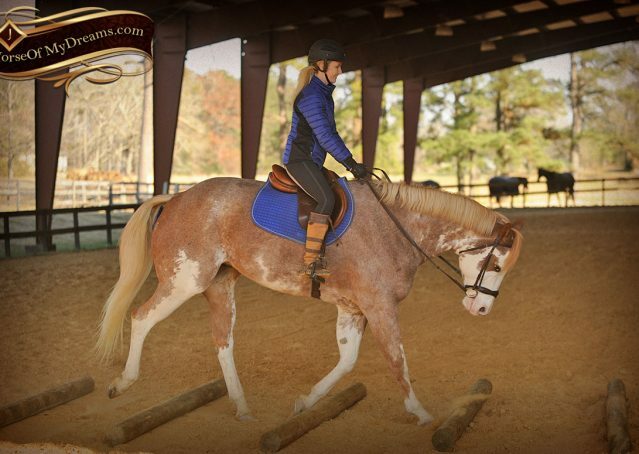 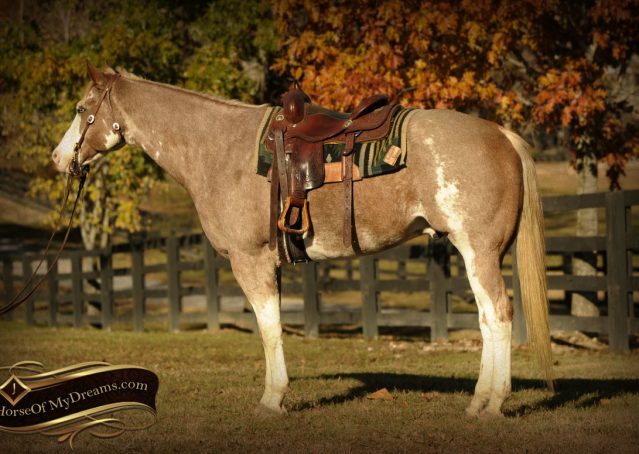 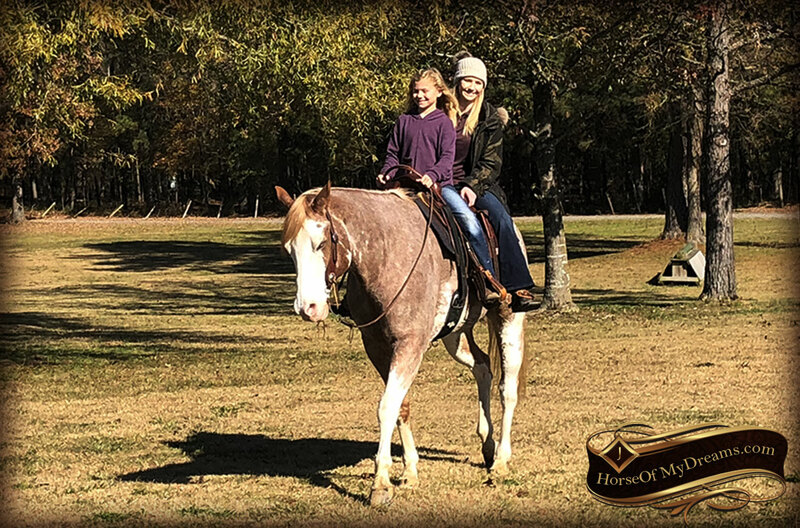 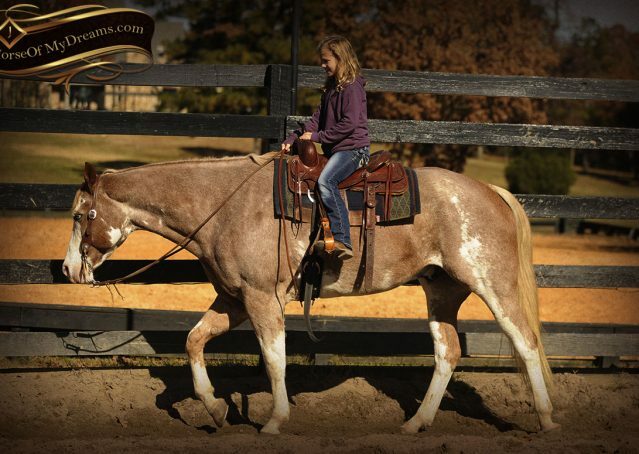 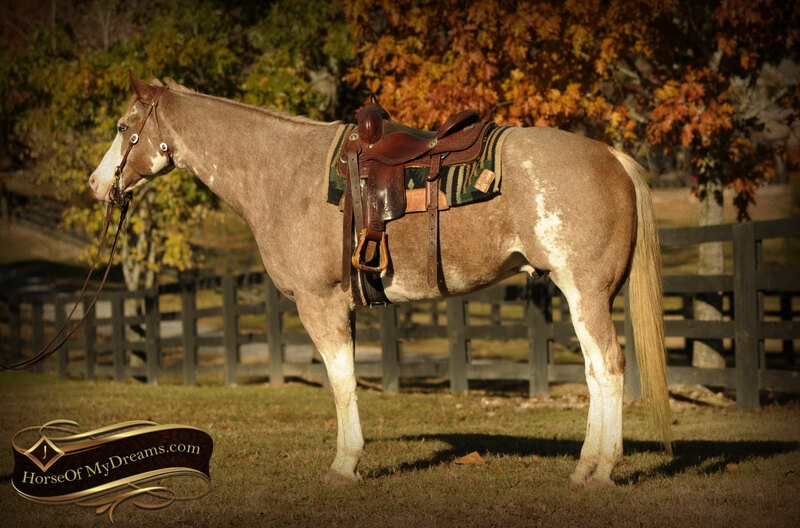 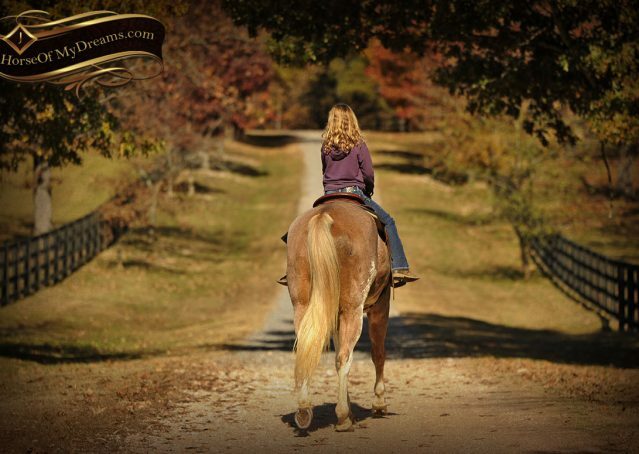 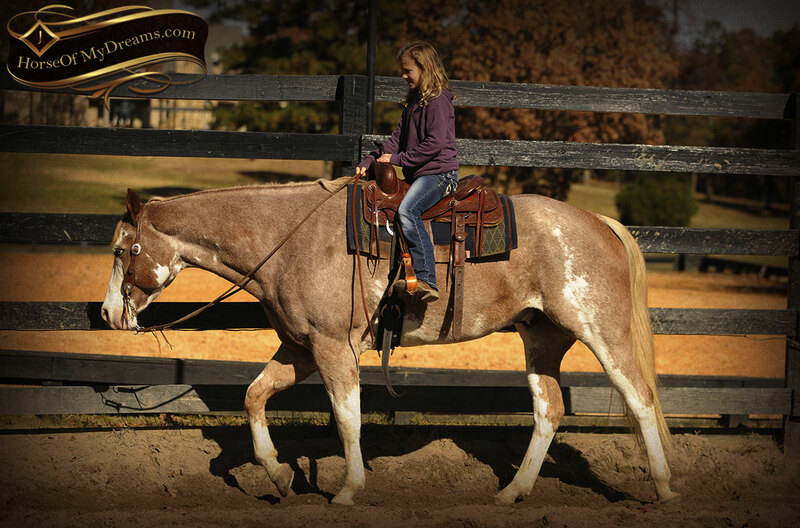 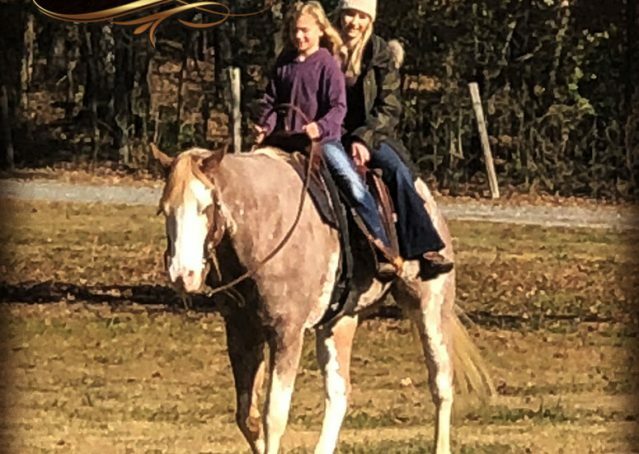 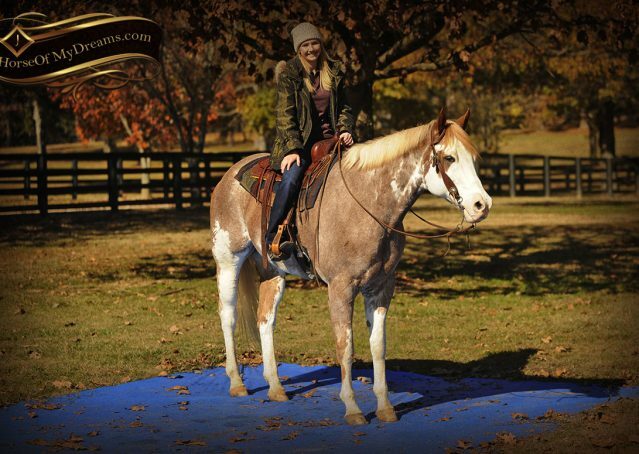 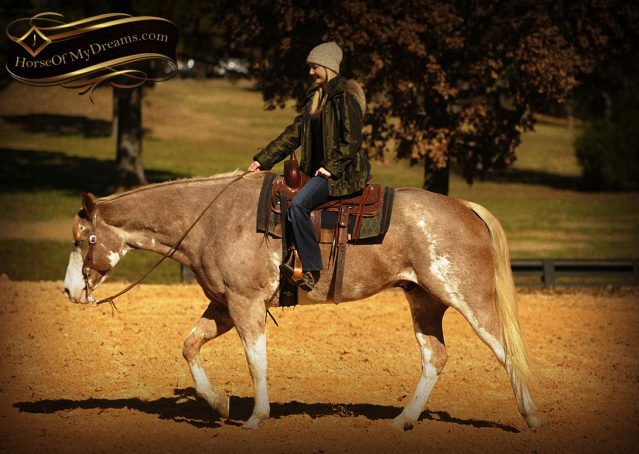 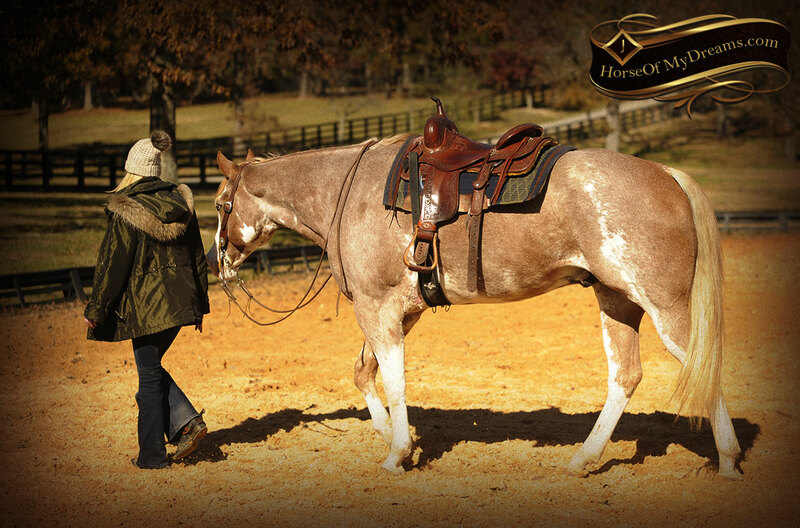 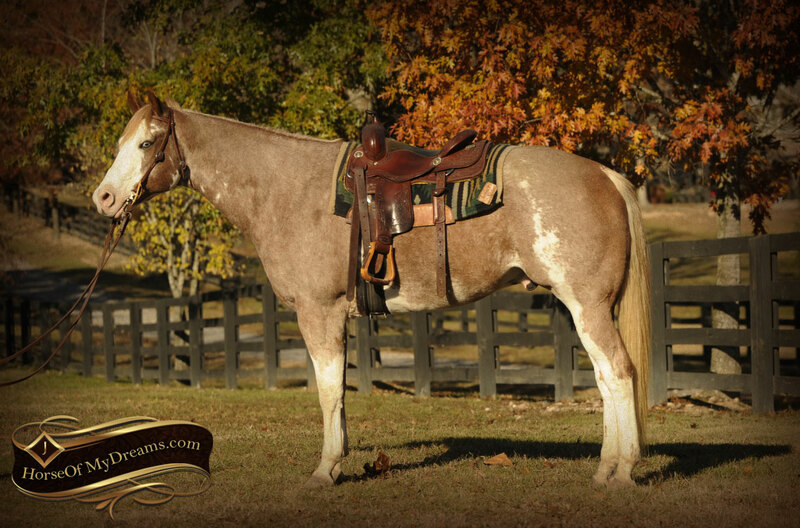 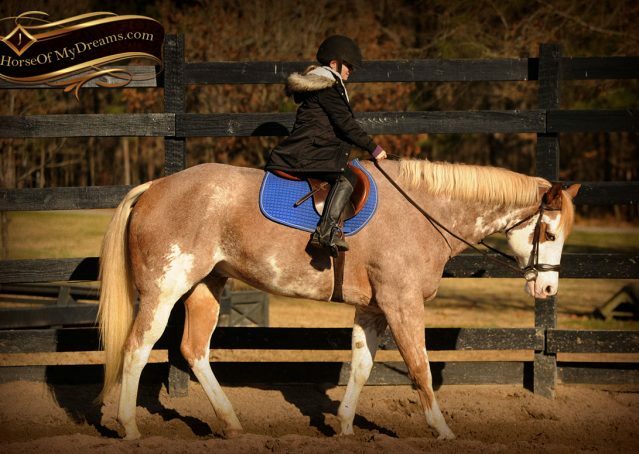 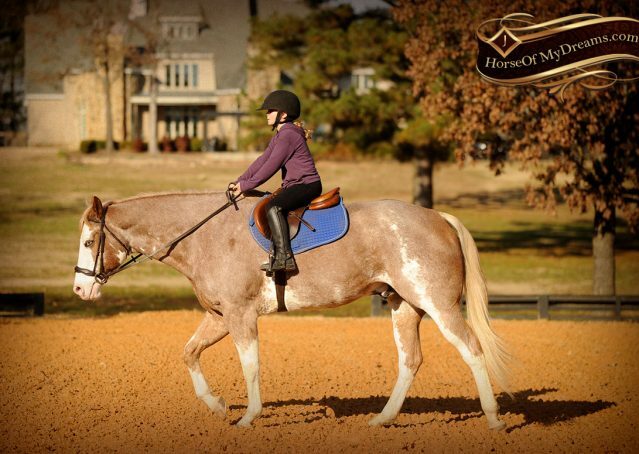 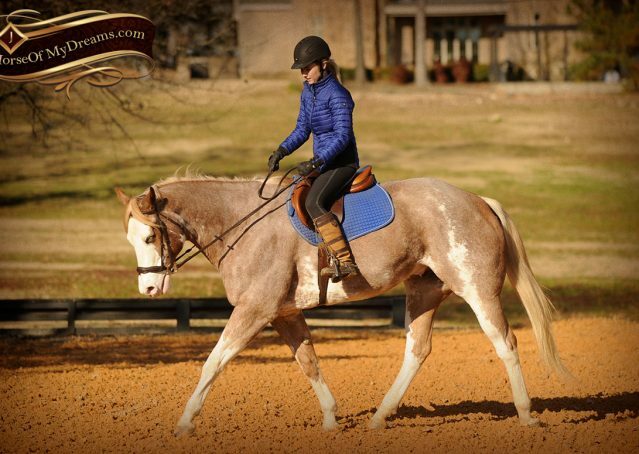 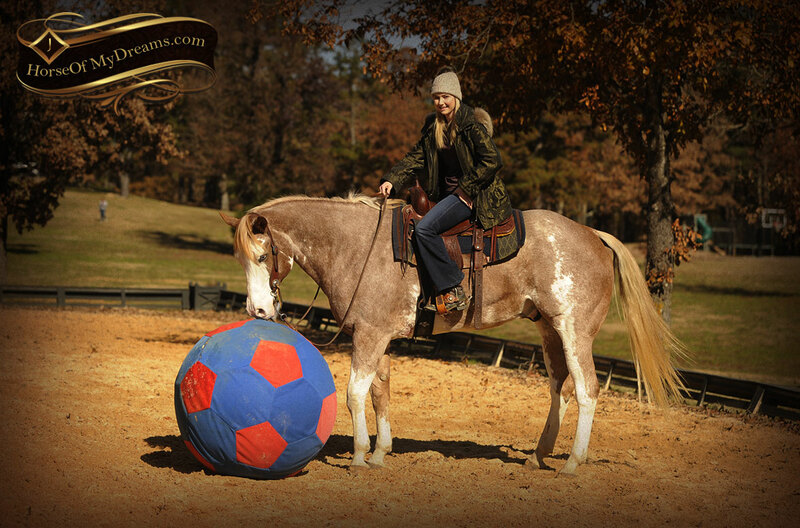 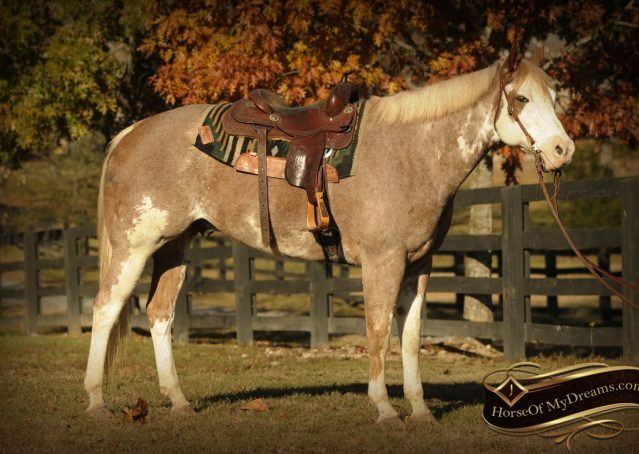 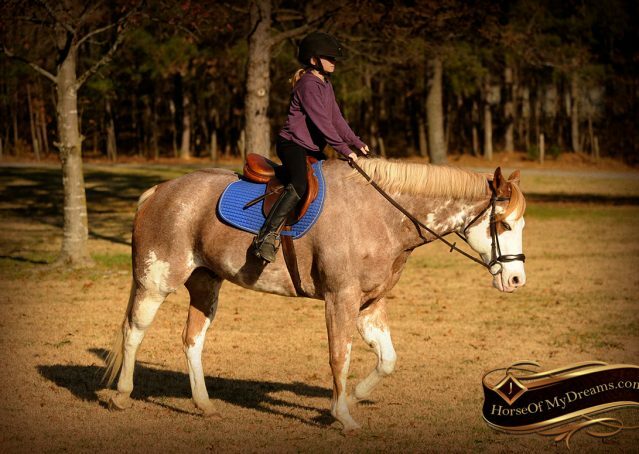 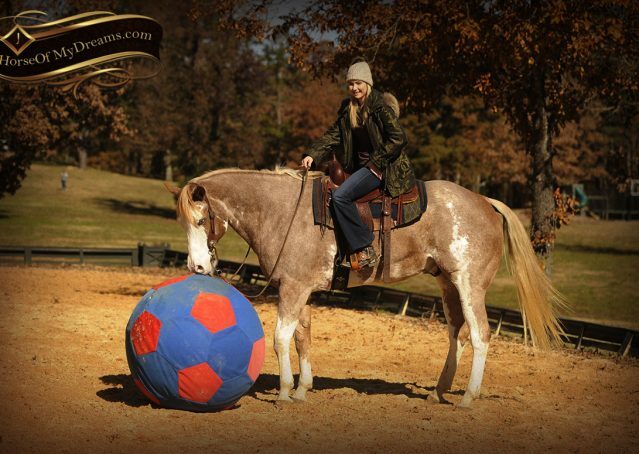 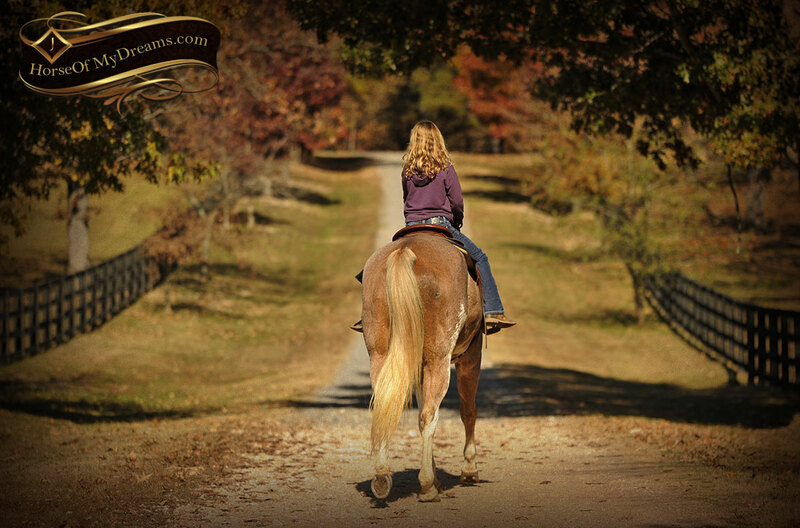 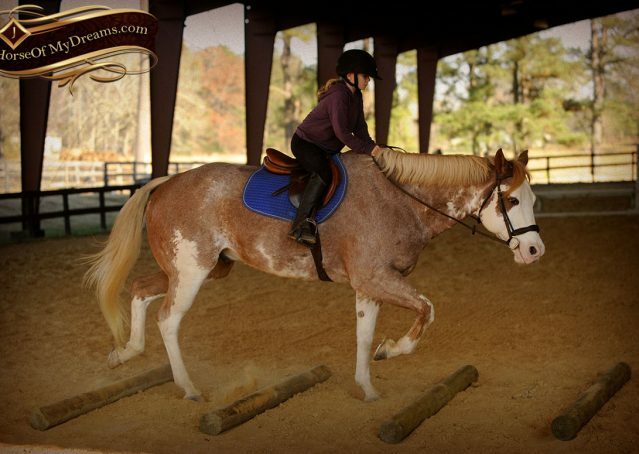 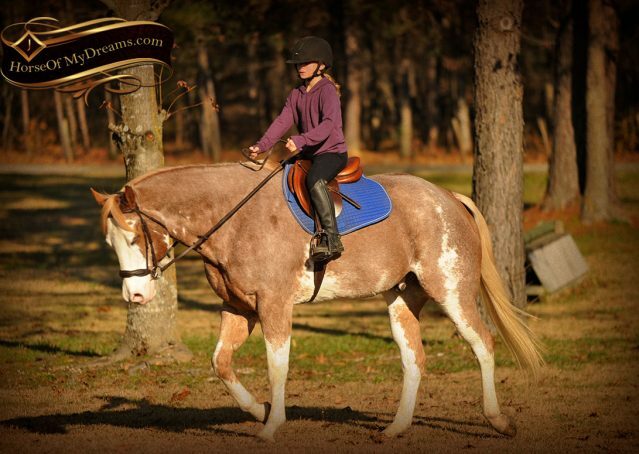 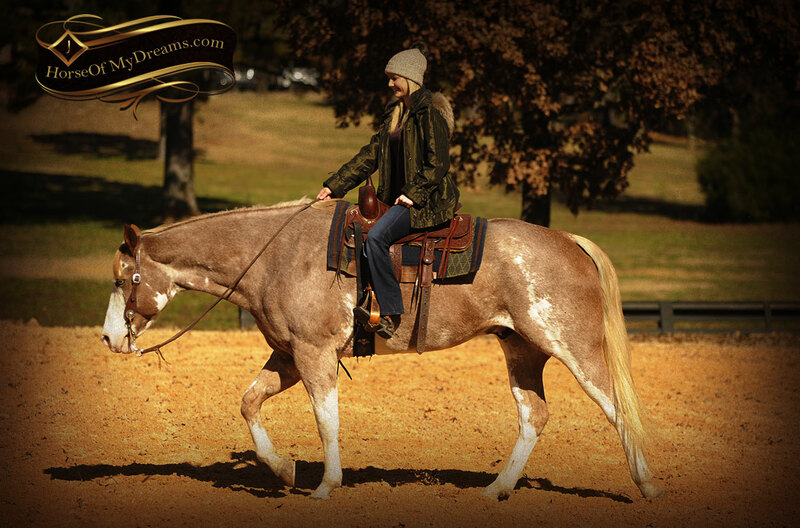 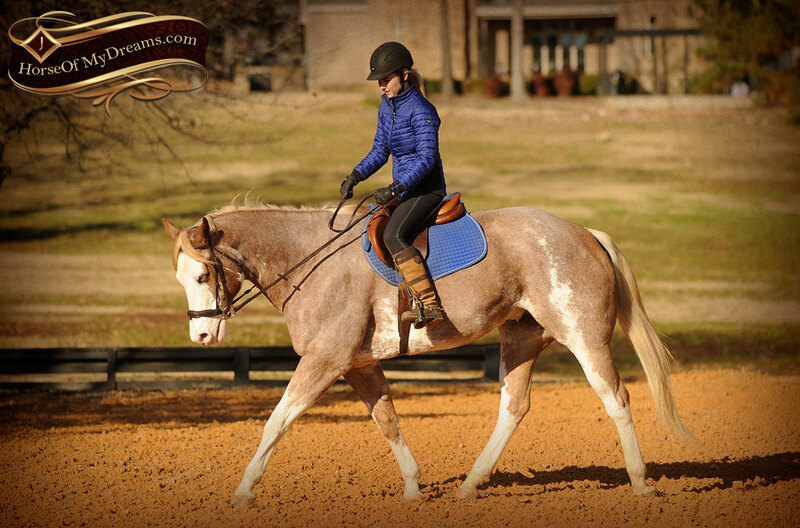 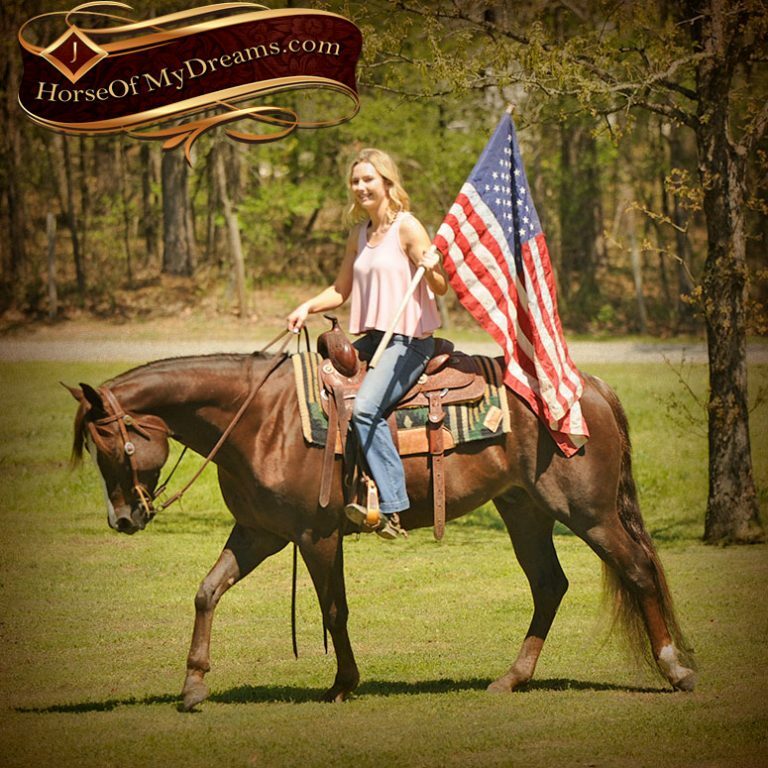 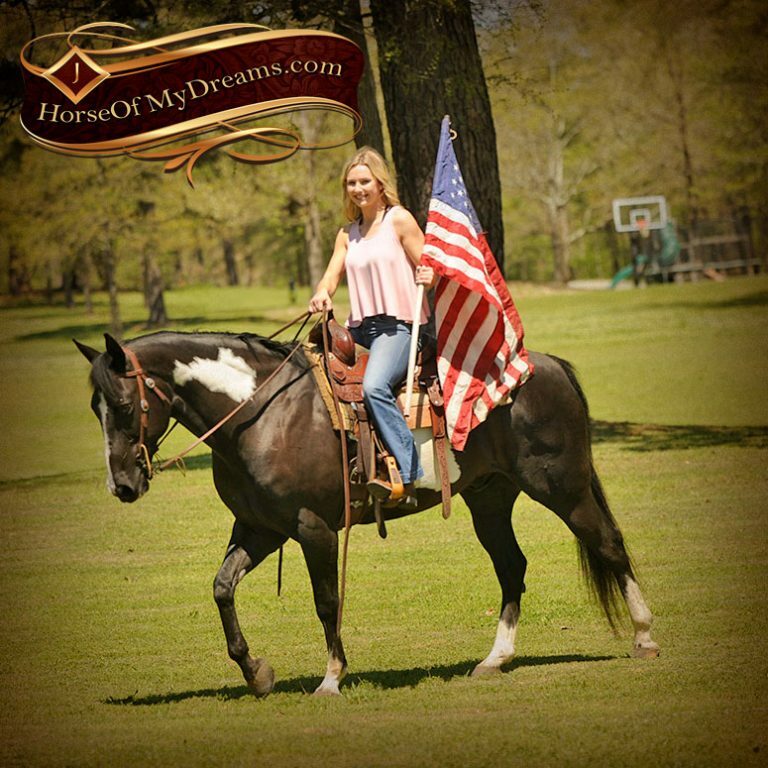 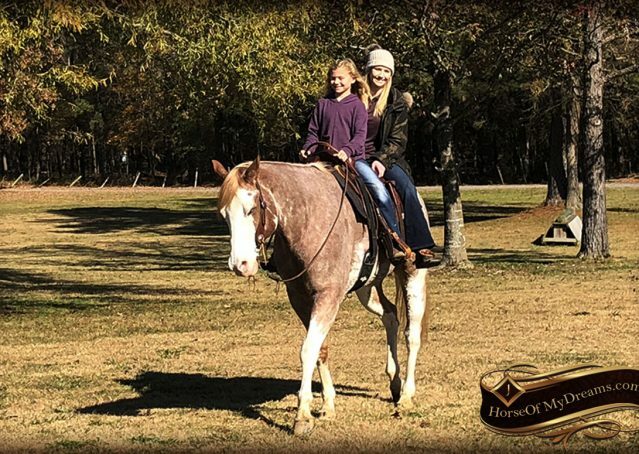 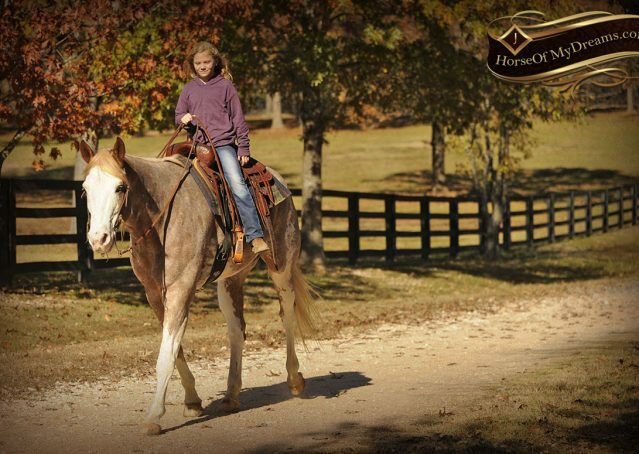 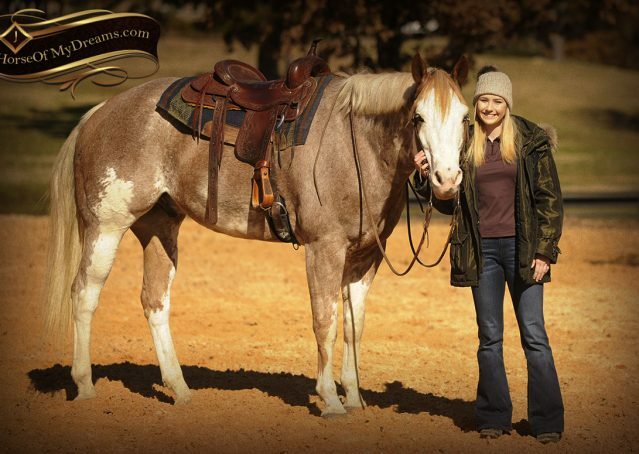 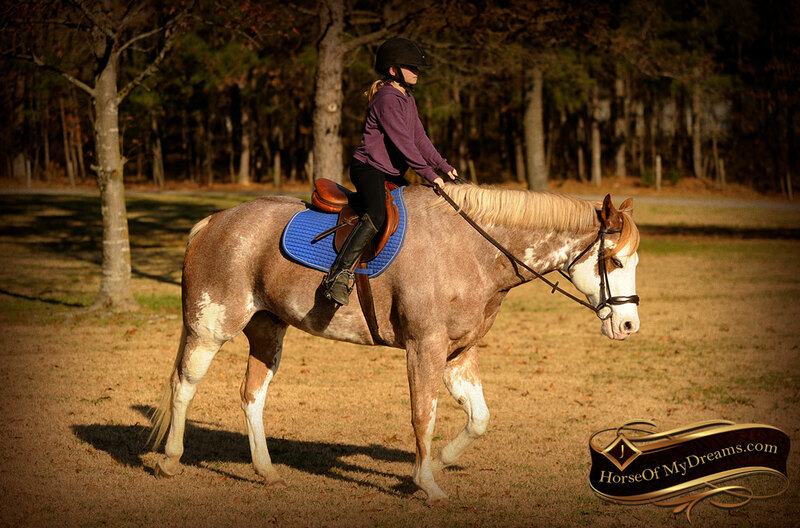 This is a perfect all-around gelding that truly is the complete package! 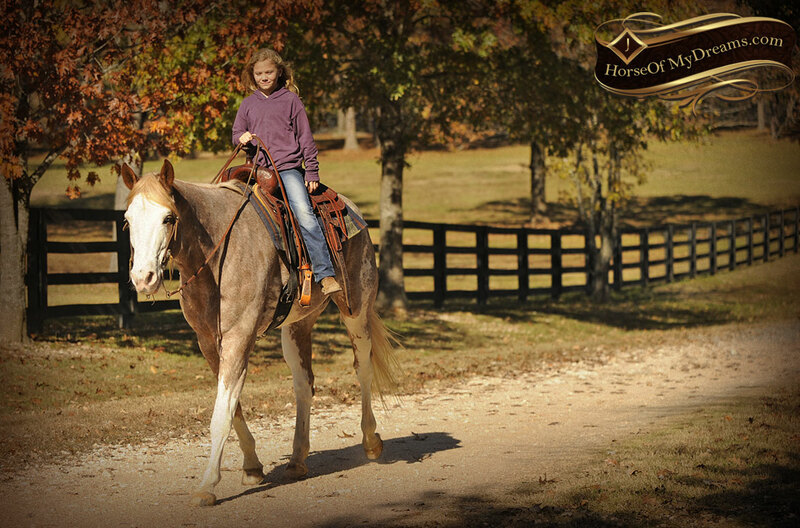 With his extensive experience, he’s ready to take care of his next owner and show them the ropes. 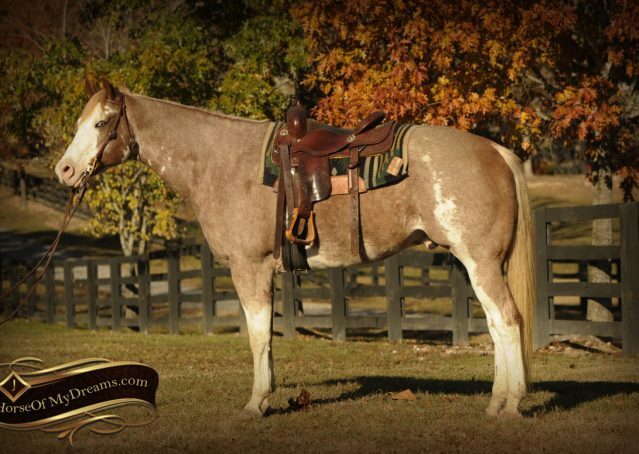 Questions About Macho In Pink aka "Aspen"